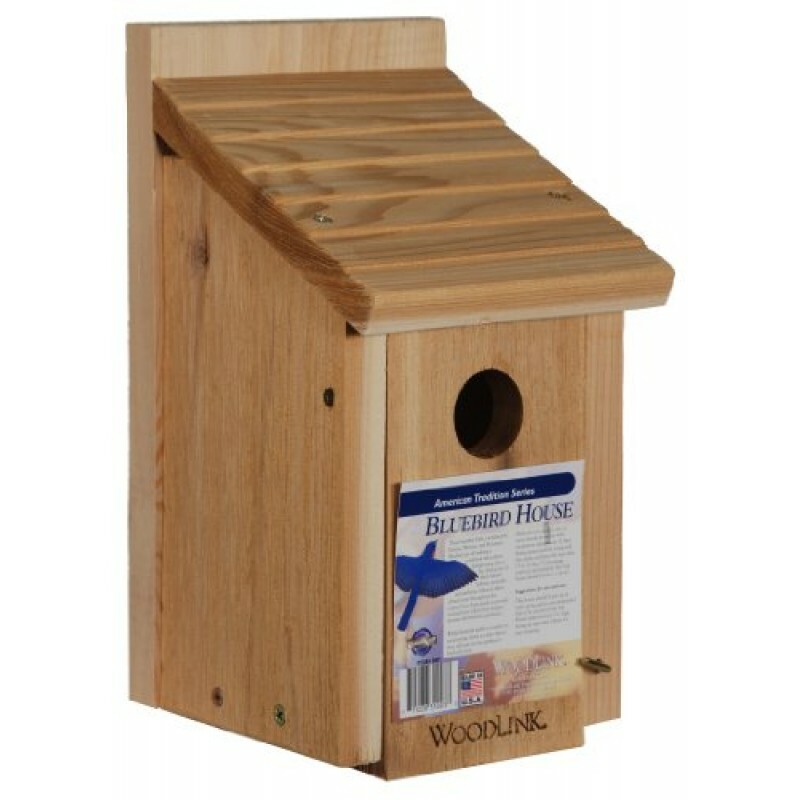 This ornithologically correct, traditional style Woodlink Bluebird House is designed specifically for bluebirds. 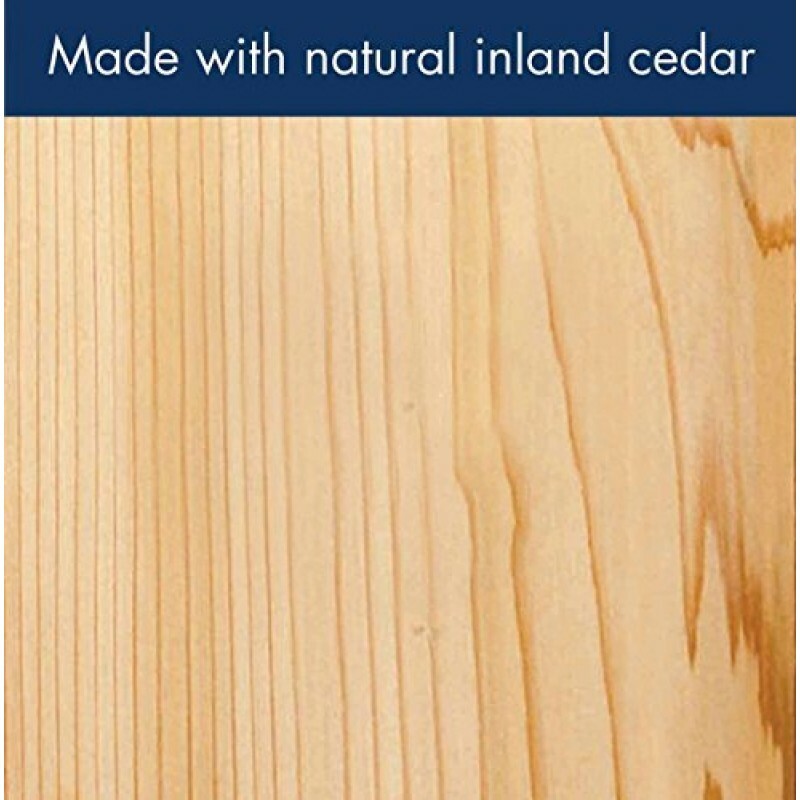 Constructed of durable re-forested, kiln dried, inland red cedar it is both weather resistant and insect repelling. 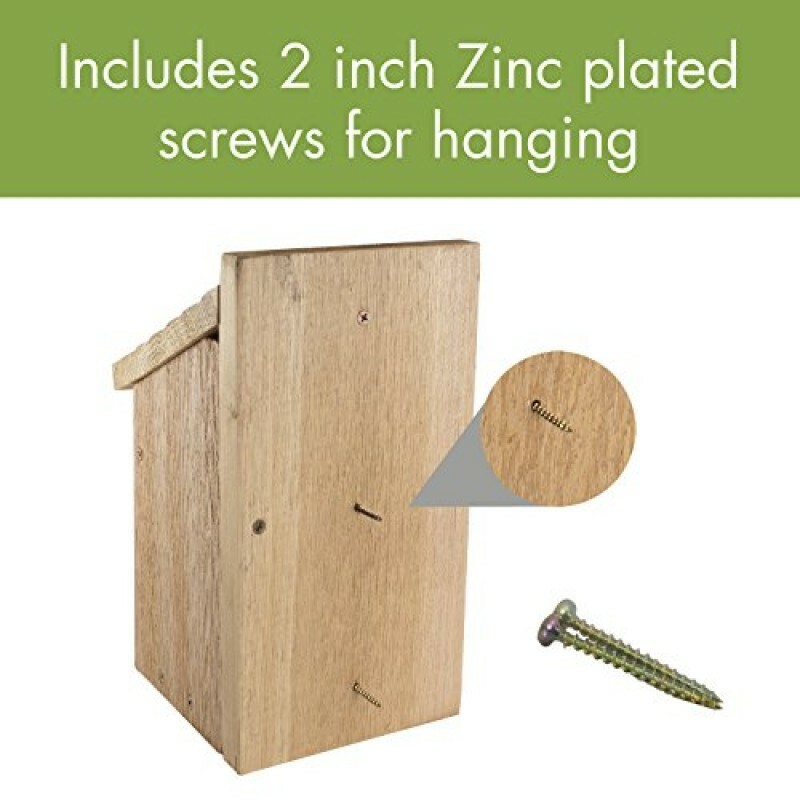 Assembled with rust resistant zinc chromate screws (not nails) to withstand temperature changes. Ideal for the Eastern, Western, and Mountain Bluebird. 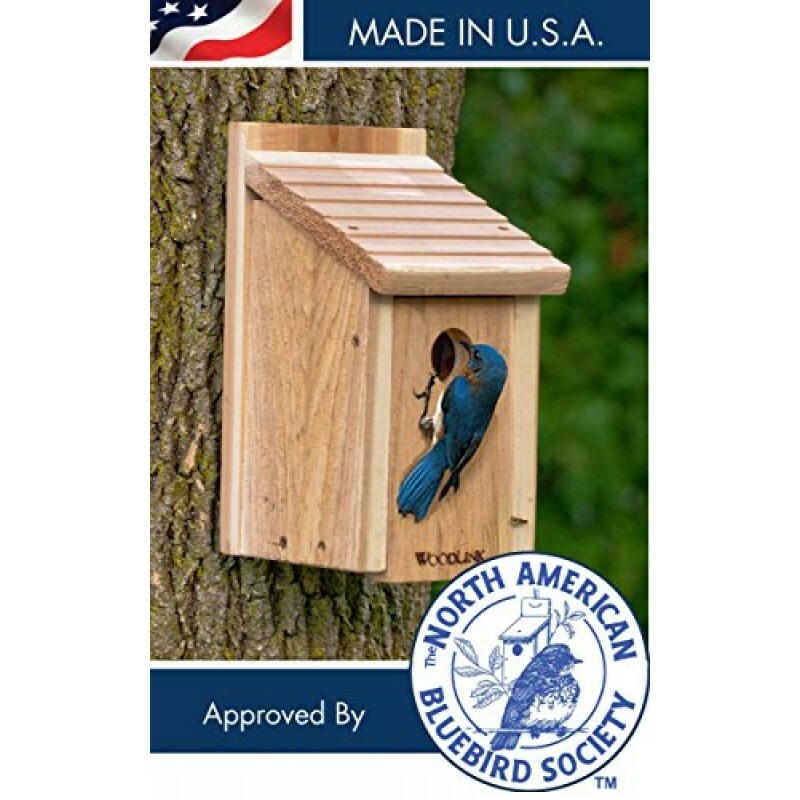 Designed with a 1 1/2” entrance hole it is especially attractive to the eastern bluebird. 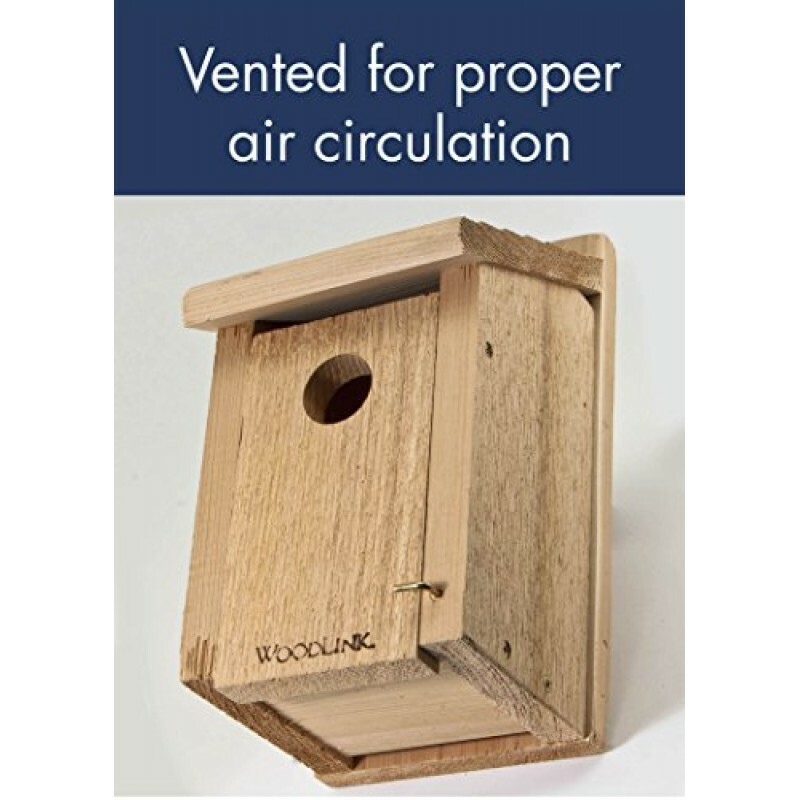 Built with a 5" x 5" base and a 1-1/2" hole centered 6" above the floor, the design corresponds with optimum bluebird dimensions. 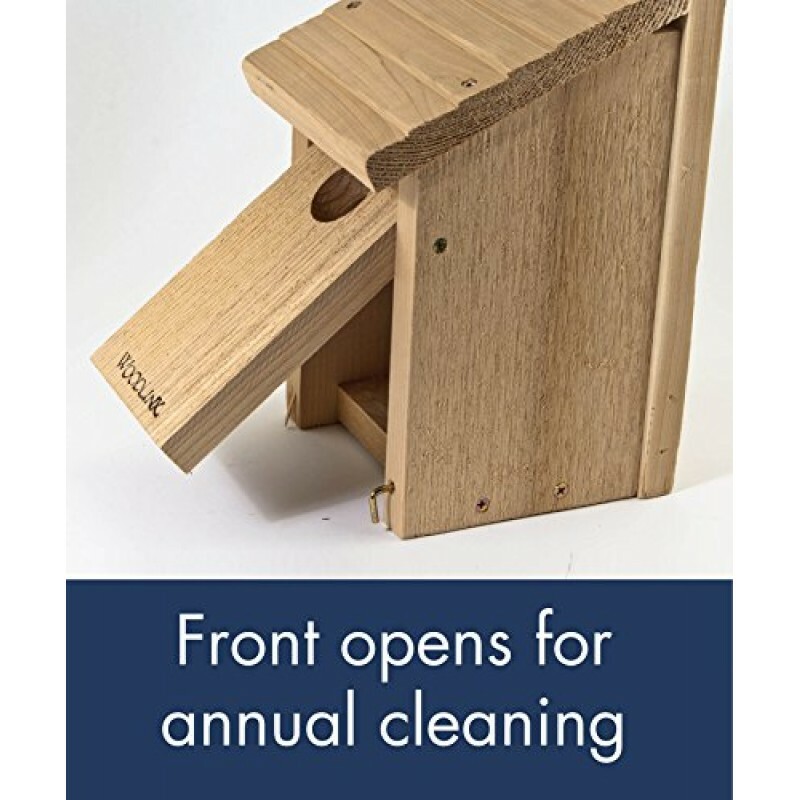 Featuring an easy open front panel, front slides down for checking the progress of nesting birds without disturbing them and for quick and easy cleaning. A 1/2" air ventilation gap is provided at the top as well as a drain hole at the base. 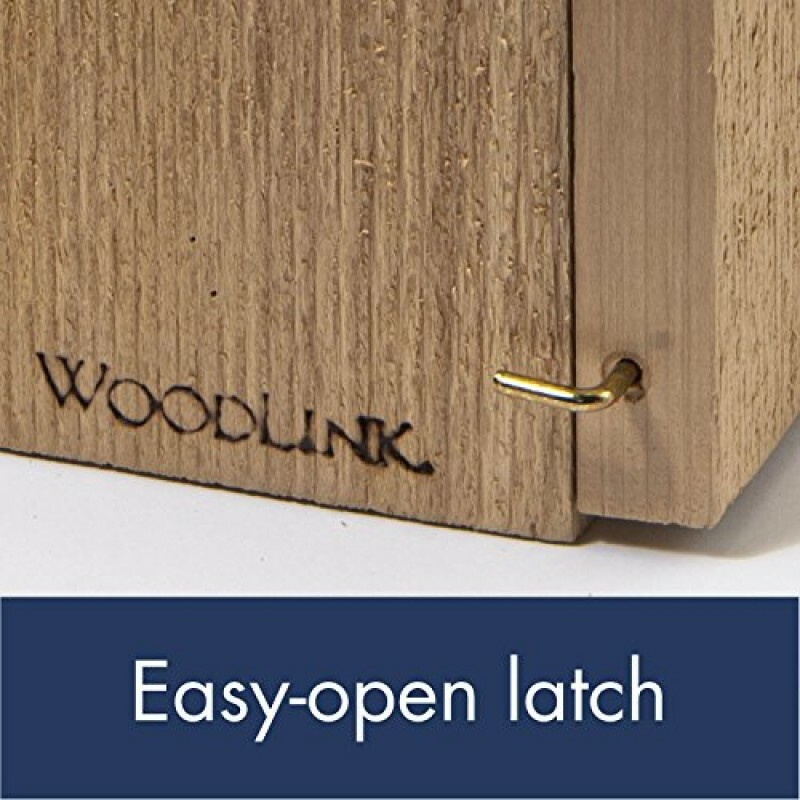 Specifically designed entrance holes discourages other unwanted species from invading the nesting area. Fully assembled and ready to mount.